Solar power pumps are devices that majorly run on electricity generated through photovoltaic cells. These cells mainly collect the incident solar energy, which further gets converted into electric energy through various processes. Solar powered pumps are known to be widely economical in the long run as compared to electrical powered pumps majorly due to less operational costs and low maintenance expenses. Solar powered pumps also have less environmental impact than the pumps that run on electricity. Thus, looking at these advantages, these pumps are gradually being used in a large numbers, thus constituting a distinct solar pumps market from a global perspective. A notable advantage of solar pumps involves their usage in conditions wherein it is highly impossible to set up grid electricity or even other energy sources such as wind and tidal activities. Solar pumps mainly consist of three components: controller, solar panels, and the pumps. The panels comprise most of the systems cost, and the size of the photovoltaic cells is directly proportional to the size of the pump, the amount of water required, and the intensity of incident solar rays available in the area. The global solar pumps market mainly depicts a splendid performance in regions that comprise developed countries, such as in North America and Europe. However, the market has maximum scope in tropical regions where sunlight intensity is mostly higher than temperate areas present in North America and Europe. To be more specific, Asia Pacific and the Middle East and Africa are two such regions where solar pumps can be extensively used. However, these regions mainly consist of emerging economies, wherein the generation of comparatively less disposable income could hinder the solar pumps market. Nevertheless, favorable initiatives by governments in these regions are expected to push the market to gain an impressive growth during the upcoming years. 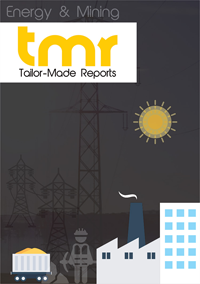 This report on the world market for solar pumps is an all-inclusive market intelligence study that brings forth the lucrativeness of the said market. The report is being compiled by a team of experienced research analysts and it aims to assist in the form of a credible user guide for its targeted audiences such as solar pumps products suppliers and dealers. Beginning with an executive summary that comprise a snapshot of how the demand for solar pumps has evolved over the recent past and where is it headed to in the future, the report delves into the analysis of various market dynamics, such as opportunities, trends, challenges, and drivers. The market intelligence study also points at mergers, important conglomerates, numerous research and development activities, acquisitions, and corroborations. The companies that have been profiled in the study come with thorough examination based on their market shares, prime products, and marketing strategies. The world market for Solar Pumps is expected to grow at a robust CAGR and is forecasted to attain a significant market valuation by the end of the period of forecast. There are many factors that are fuelling the growth of the world market for solar pumps. The market is forecasted to be driven by increased agricultural activities together with extraction of water for the purpose of irrigation that is based on renewable source of energy and the same is anticipated to drive the world market for solar pumps over the period of forecast. Stringent government regulations can result in the reduction of carbon footprints into the atmosphere and are anticipated to augment the growth of international market for solar pumps over the next few years. Solar energy that is utilized for the purpose of water pumps does not emit any carbon footprints into the atmosphere and offers clean source of energy. Framers and solar pump makers receive government subsidies in the form of financial incentives are anticipated to propel the world market for solar pump over the forecast timeframe. Taking geographical segmentations into consideration, the international market for solar pumps has been categorized into geographies of Europe, North America, Asia Pacific and Rest of the World. The region of Asia Pacific has emerged as a clear leader in the world market for solar pump. Countries in this region like Pakistan, India, China, and Bangladesh, and are main agricultural regions with sufficient availability of solar energy. The Middle East & Africa is also experiencing substantial growth over the timeframe of forecast. Some of the prominent companies operating in the world market for solar pumps comprise names such as Shakti Pumps, Grundfos, Lorentz, TATA Power Solar Systems Ltd.,USL Bright Solar, SunEdison, and CRI Pumps.